This op-ed originally appeared in the Nov. 12, 2018 issue of SpaceNews magazine. It is difficult to read a story about national security space these days without hearing dire warnings about the ominous threats facing the United States in space and bold proclamations about purported solutions to address them. Unfortunately, while there are indeed real threats the United States faces in space, the political and public discourse about both the threats and solutions leaves much to be desired. Whether it’s due to political maneuvering, ideology, classification or technical complexity, important details and nuances are often glossed over or left out. This a huge problem, as it is critically important that we have a real understanding of the scope, degree, and diversity of the threats facing future use of space so that we can get the solutions to those threats right. The space domain today is indeed a more complex and challenging environment than it has been for the past 20 years. The United States has successfully integrated space capabilities into its military operations, resulting in an unprecedented level of military power and effectiveness. At the same time, several countries are developing their own space and counterspace capabilities to both boost their own military power and undermine the military power of other countries, including the United States. Open source analyses of these developments were detailed earlier this year in reports by both Secure World Foundation and the Center for Strategic and International Studies. Yet the public rhetoric and discussion on these threats often leaves out or obscures important details. 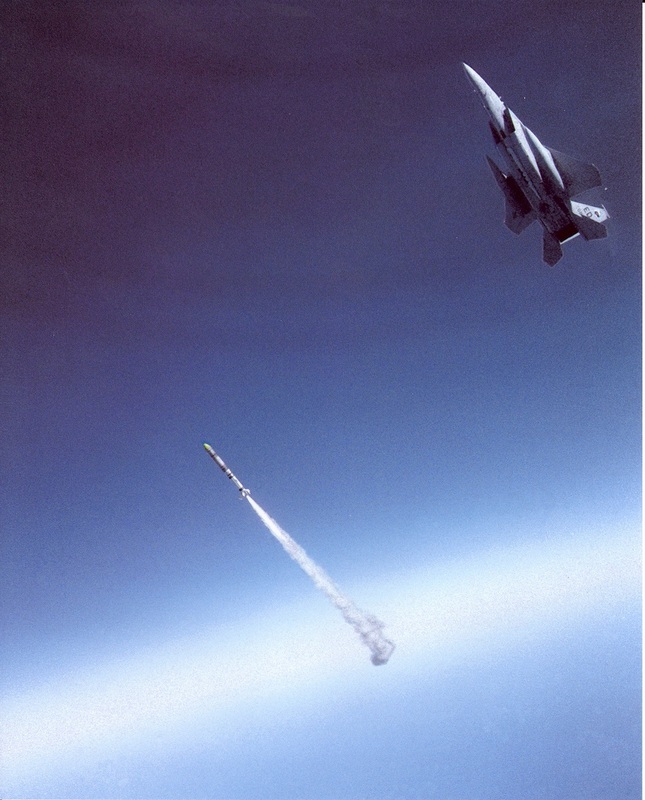 The existence of counterspace capabilities is not new; both the United States and Soviet Union developed, tested and deployed multiple destructive anti-satellite (ASAT) systems throughout the Cold War. The situation in space today is a more a return to that historical contested space domain than a uniquely new situation, and the destructive counterspace threats of today are also neither newly hatched nor yet operational. Russian and Chinese ASAT programs have been underway since the early 2000s, and their testing prompted the Obama administration to re-examine U.S. space posture in 2014. In February 2018, Director of National Intelligence Dan Coats testified that Russian and Chinese destructive ASAT weapons probably will reach initial operational capability in the next few years. 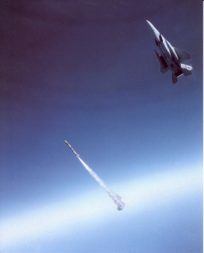 Counterspace threats are also being conflated with hypersonics, despite the latter being a threat to ground installations and not satellites. Moreover, while destructive ASATs get the most media and political hype, it is non-destructive attacks such as jamming that are actually being used operationally in conflicts today and pose the most likely military threat. The focus on counterspace threats also obscures the real and growing environmental threats to satellites. Talk to any satellite engineer or operator and they will tell you that space has never been a benign environment, and that it has only gotten more challenging in recent years. 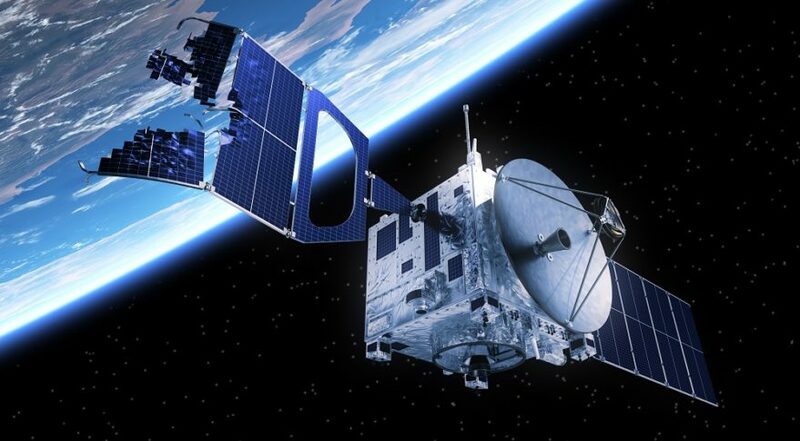 Day in and day out, avoiding potential collisions with space debris and resolving incidental radio-frequency interference are the biggest threats military, commercial, and civil satellite operators need to contend with, and those threats will only grow along with the rapid increase in the number of satellites being launched. It is more likely the United States will lose a critical satellite to a space debris impact or a space weather event than to a hostile attack, yet there is far more political attention being paid to — and money being spent on — the latter than the former. Just as public rhetoric on the threats is often misleading, so is the rhetoric on the proposed solutions. Some commentators have lauded the Trump administration for recognizing that space is a “warfighting domain,” as if that was a massive change in U.S. policy. In reality, the tangible change is more about what the U.S. says publicly than a change in how the U.S. military approaches space. U.S. policy and doctrine has recognized space as a warfighting domain for almost as long as the United States has operated in space. Since the 1960s, the United States has had capabilities and plans for offensive and defensive space control and since at least 1985 the United States has had a combatant command with responsibility for developing and executing space warfighting doctrine. The U.S. military has been running wargames and exercises to prepare for, and hopefully avoid, conflict in space for nearly 20 years. At the same time, the United States has traditionally refrained from talking about space as a warfighting domain in public statements, because the geopolitical repercussions outweighed the rhetorical gains. It’s hard to see how this dynamic has changed and how the more aggressive rhetoric will help the U.S. position in the realm of public and international perception. The debate over the so-called “Space Force” is another example of misleading rhetoric. Over the last two decades, there has been a discussion of how to most effectively organize U.S. national security space activities to address the changing domain. This discussion has been elevated by President Trump’s directive to create a “separate and equal” branch of the military for space. While many of the underlying problems with the current organizational framework are real and change is necessary, there seems to be a belief that making a structural change to a Space Corps, Space Force, or one of the other options solves the problem. It does not: the structural change only creates the opportunity to put in place the actual solutions. Organizational change on this scale is extremely difficult to get right; just look at the growing pains with the Department of Homeland Security, the Office of the Director of National Intelligence, or the Joint Space Operations Center as examples. Even if the organizational transition is successful, it will still take years, if not decades after the new organization is in place to grow a professional space cadre, develop more resilient and defendable national security space capabilities, and create doctrine, tactics, techniques and procedures. The insistence by some pundits and government officials on new U.S. offensive counterspace weapons as “the” solution is also misplaced. Just because Russia and China are building ASAT weapons does not mean ASAT weapons should be the cornerstone of America’s response. Yes, it is likely that the United States will need offensive capabilities to counter an adversary’s space capabilities in a conflict scenario, but U.S. ASAT weapons are unlikely to mitigate counterspace threats to U.S. satellites. It is hard to imagine which Russian or Chinese satellites the United States could hold at risk to credibly deter an attack on critical American satellites. This is not a new conclusion — it is the same decision reached by the Ford and Carter administrations when they developed the policy for the ASM-135 air-launched ASAT in the mid-1970s. Implementing all four pillars of the Trump administration’s 2018 National Space Strategy, which echoes the major elements of the Obama administration’s policy on these issues, is a much sounder approach. The four pillars include not only strengthening U.S. offensive and defensive capabilities but also transforming to more resilient space architectures that can deter attacks, improving the ability to defend against attacks, and enhancing the ability to reconstitute impaired capabilities. This transformation can happen through developing new U.S. space capabilities and better leveraging of commercial and allied space capabilities. However, implementation remains a major challenge. Resilience was also the core element of the Obama administration’s 2011 National Security Space Strategy, yet seven years later, it is difficult to find a concrete example of a space architecture becoming more resilient. The 2018 National Space Strategy also emphasizes improving space situational awareness (SSA) — again echoing a key element of the Obama administration’s 2010 National Space Policy — by improving the ability to detect, attribute, and respond to environmental and hostile threats. The Trump administration’s recent Space Policy Directive 3 (SPD-3) on Space Traffic Management establishes a sound policy framework for making improvements in SSA, but again successful implementation is still an open question. SPD-3 leaves the U.S. military in control of the core satellite catalog, yet the military leadership has gone noticeably quiet on how it plans overcome a long string of unsuccessful attempts to modernize the computer systems that provide those SSA capabilities. Congress has also yet to implement the new authorities and allocate the resources necessary to implement the civil SSA role SPD-3 assigned to the Department of Commerce. It is also critically important to keep in mind that we cannot solve the space threats problem through military might alone. As the United States has learned over the last 17 years of warfighting in Afghanistan and Iraq, overwhelming military dominance and superiority does not guarantee victory. War is the continuation of politics by other means, and thus there must also be a viable diplomatic solution to resolve the underlying political conflict. The political solution will need to take into account the other aspects of the changing space domain. It cannot be the same Cold War approach of symmetric balancing against one adversary because today there are multiple space actors with varying capabilities, goals and intentions. It must also consider the expanding commercial and civil uses of space and the complex web of strategic alliances and partnerships, which provide more opportunities for soft power but also complications for use of hard military power. To this end, the 2018 National Space Strategy pillar of fostering conducive domestic and international environments is extremely important for dealing with space threats. The Trump administration is making good progress on continuing the work begun in the Obama administration on streamlining regulatory frameworks, policies, and processes to better leverage and support U.S. industry. Much more effort — and resources — need to be committed to pursuing bilateral and multilateral engagements to marshal cooperative threat responses. The United States needs to play a leadership role in not only the development of military might but also comprehensive political and diplomatic solutions to space threats. That will entail U.S. leadership in the establishment and promotion of a range of norms of behavior, best practices, and standards for safe operations in space to minimize the creation of space debris, help clarify threatening behaviors in space and enable the use of self-defensive measures to protect satellites from attack, and promote data sharing and coordination across space activities. The space domain is changing and becoming more complex, and environmental and hostile threats to space capabilities are growing. It is essential that the United States take steps to put in place the organizational structures, policies, and strategies to deal with those threats. But it is critically important that we have a real understanding of the scope, degree, and diversity of the threats facing future use of space that sets the stage for an honest discussion about what steps will improve the situation and avoid making it worse. The United States, and the world, has too much to lose in space to get this wrong. Brian Weeden is the director of program planning for the Secure World Foundation, a nonprofit dedicated to the long-term sustainable use of space for benefits on Earth. He is a former U.S. Air Force officer, serves on the board of advisers for Candah Space Technologies and is a partner in Lquinox Consulting, LLC.